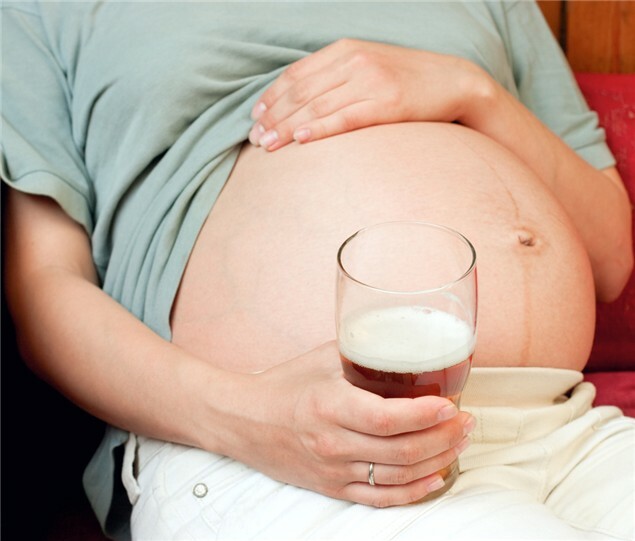 Drinking Whilst Pregnant - What Are The Risks Involved? Drinking in pregnancy, What happens if you drink in pregnancy, Alcohol in pregnancy, Alcohol and the unborn baby. The advice on alcohol and pregnancy can be confusing. Many people also worry about the alcohol they may have consumed during the very first few weeks of pregnancy, before they knew they were pregnant. The benefits of modern technology mean that pregnancy tests are able to pick up those all-important HCG hormones earlier than ever before. This means that the mother to be can moderate her behaviour accordingly. It is advised that anybody trying for a baby should avoid alcohol completely. Not only can alcohol make it less likely to conceive, it also poses a risk of miscarriage in early pregnancy. The nervous system is developed largely in the first 12 weeks and alcohol could cause problems with development. If you have alcohol in moderation, or perhaps a larger amount as a one off in the early days of pregnancy then the chances are you should be ok. Always mention this to your Health Visitor or Doctor as soon as possible if this is the case. It is advised if alcohol should be completely avoided for the first 12 weeks of pregnancy. Current guidelines say if you are pregnant and choose to drink then you should drink no more than 1-2 units once or twice a week. There is no firm or definitive research showing the effects of alcohol abuse in pregnancy, but there is also no evidence that very low levels of alcohol consumption will harm an unborn baby. Binge drinking is thought to be the most harmful type of drinking. When a mother to be drinks alcohol, it goes into the babies system via the placenta. The baby does not have its own way to filter the blood, so any alcohol from the mothers system goes in to the baby’s. This can cause problems with the baby, its growth and development. Drinking in pregnancy can also affect the placenta itself, often being attributed to Placental Abruption, where the placenta starts to come away from the wall of the womb, which can place an unborn baby in grave danger. Drinking in pregnancy effects an unborn babies growth and brain development. It also increases the risk of miscarriage. A baby may suffer from low birth weight, which could result in a lengthy stay in a neonatal ward for a new-born after birth. Low birth weight is also associated with feeding problems. A baby who has been exposed to high levels of alcohol in the womb may suffer from Foetal Alcohol Syndrome. This may result in heart problems, behavioural and learning difficulties and they may suffer from withdrawal symptoms after birth. Some of the problems can affect them their whole lives. Always be completely honest to your midwife or doctor when at your prenatal visits. Describe everything that occurred before you found out that you were pregnant. This will provide an extra chance for you to develop a healthy and comfortable lifestyle. Don’t be afraid about talking to your health care professional, and certainly do not be embarrassed or worried – they have heard it all before and are the best placed people to help with drinking in pregnancy and avoiding alcohol addiction.